“Amanohashidate”, the famous as a tourist destination, is one of the three most beautiful ‘scenic-spots’ in Japan. It is also known as a ‘power-spot’ for, Success in Love. Below are the highlights of the recommended spots and attractions. Kasamatsu-koen is a park located halfway up Nariaiyama mountain overlooking Amanohashidate from the north. “Matanozoki”, a characteristic name of this place refers to bending over backwards. A glimpse of this scenic beauty, from special view-spots, by bending upside-down reveals a mystical view of the bridge hanging from the sky. A view of Amanohashidate from the Tamayama mountain overlooking it from the south. The Big 3 ‘Nihon Sankei’ or scenic-spots include Matsushima of Mutsu, Miyajima of Aki and the upside-down view of Amanohashidate. Nature has very patiently over several thousand of years has gradually laid the splendid scenery which is created mystically by molding. In addition, there is another highlight Amanohashidate-koen Park. Isoshimizu, a mysterious spring water in the park does not taste salty even though the park is surrounded all around by the sea. Finally, Amanohashidate Shrine, from the the title above is the ‘Power-Spot’ for ‘Success in Love’. 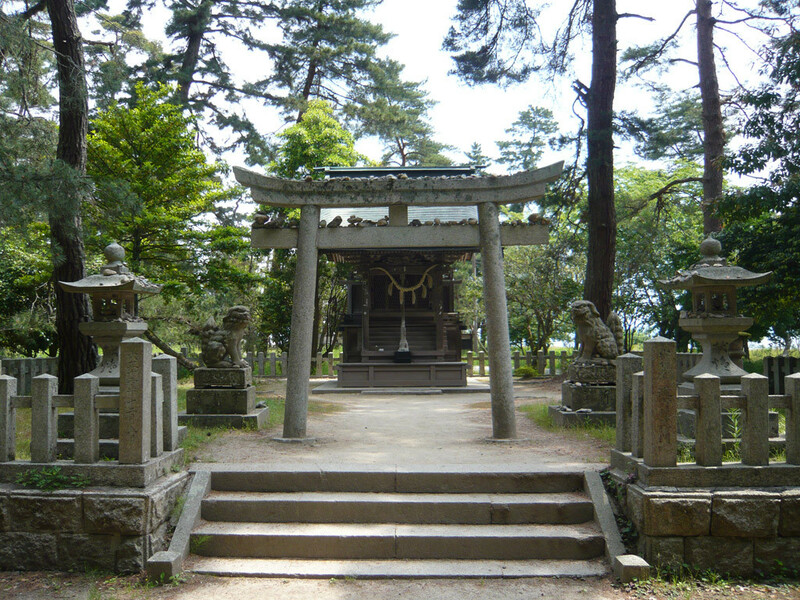 A common myth relates that, “in olden days, Amanohashidate was the ladder used by the Gods from the Sky to meet a Goddess on Earth” and that is how the shrine came to be known as a power-spot for success in love. Couples and tourists pursuing unrequited love must visit this place and Rise in Love!